a short tutorial on how to create a jelly cube effect using just maya complete. if you create a bunch of them and make them intercollide. 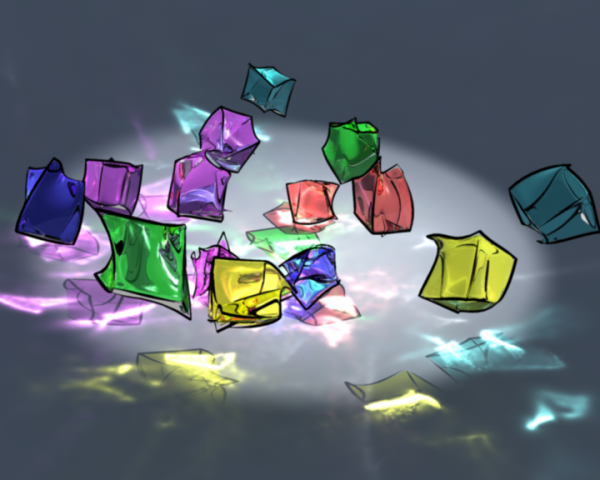 -You create a bunch of jelly-cubes, as explained in the tutorial. -finally you tweak the resilience (bounciness), and friction, of the intercollisions, this is done most efficiently by selecting all the geoConnector nodes, and then tweak them all at once in the channelbox. soren kurgan jacobsen (10 years ago) Inappropriate?